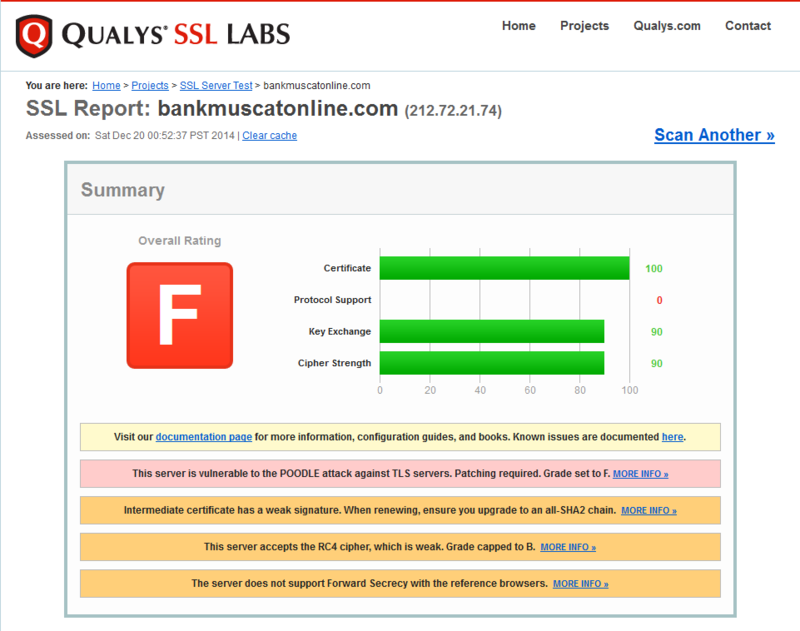 We all know that any bank that offers online banking should anticipate its customers’ security concerns. 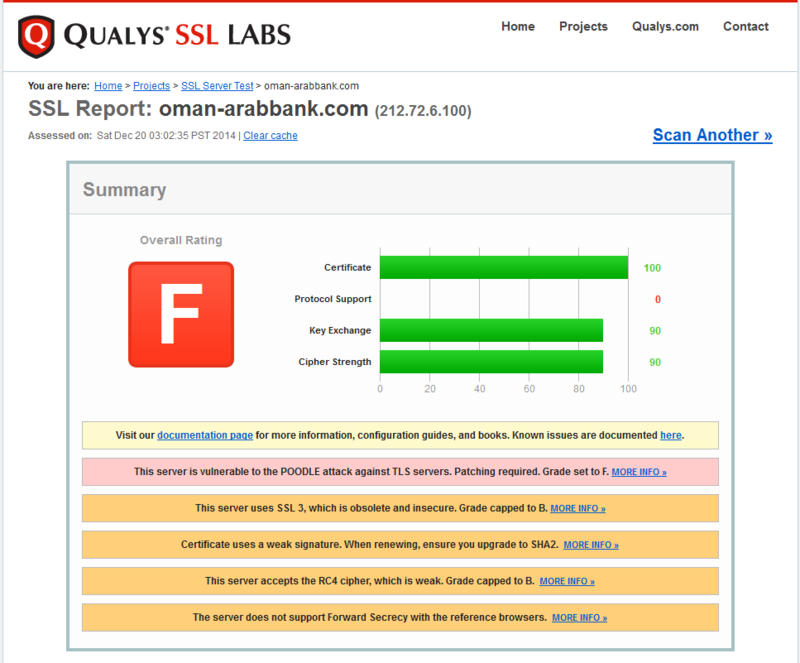 I was disappointed to know that most of Oman local banks are not aware of their grades which could be a real threat to them and their clients. I am going to list some of them with recommendations on how to mitigate the issues, in case you belong to any of the listed entities please make sure you inform the security teams to take action. If they face difficulty please do not hesitate to contact us, this may sound simple to you but I am pretty sure it will lead to security breaches in the near future and its our national duty to enhance security. 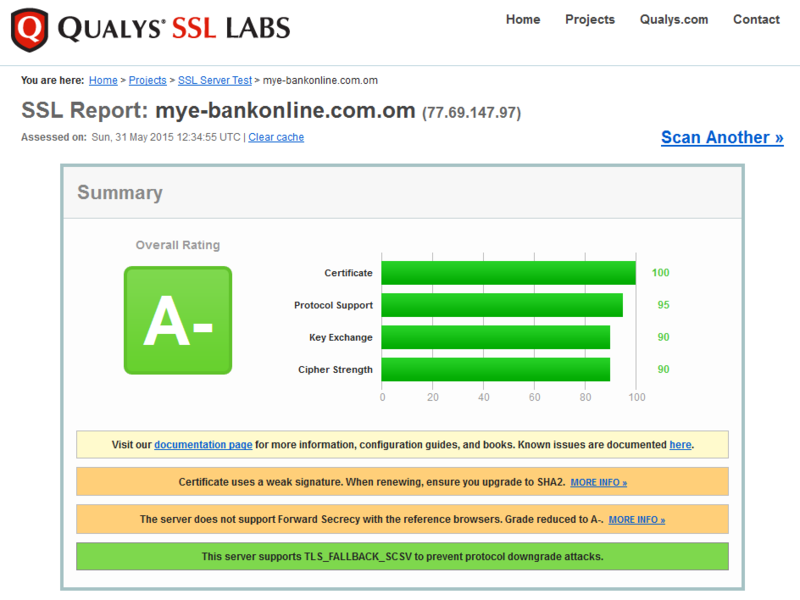 Before we start please note that I have previously published a tutorial on how to solve SSL issues and obtain grade A+ you can find it here banking security specialist feel free to make use of it. 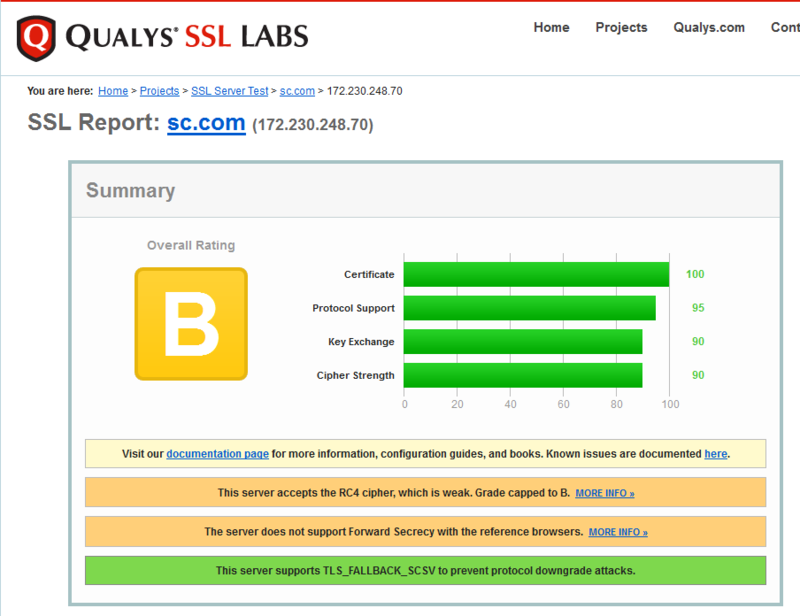 All of the below tests results were obtained PUBLICLY from SSLLAB. 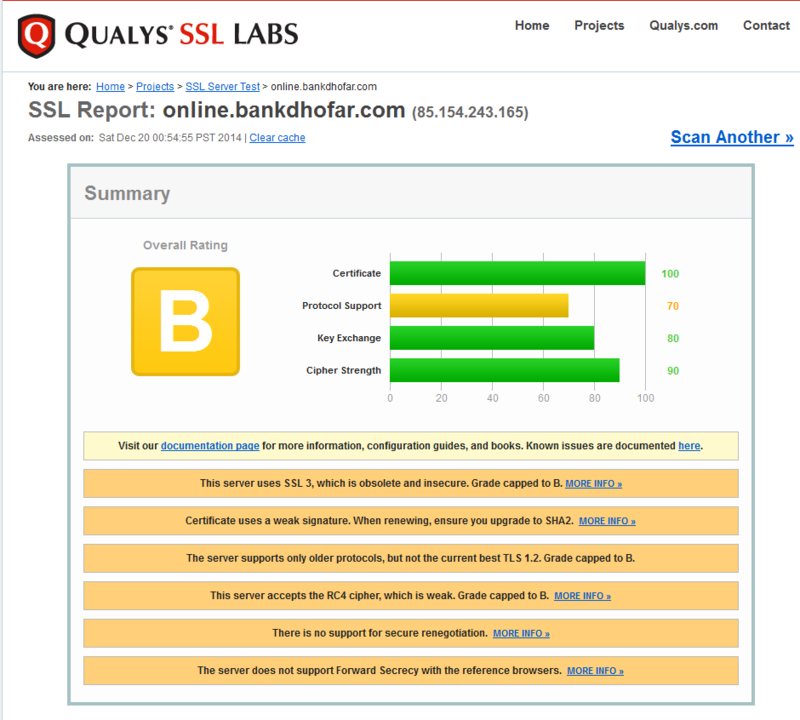 The result are published on a well recognized security company Qualys all I did was explaining the problem and providing a solution for the sake of having secure online banking. Additionally I made sure that I have contacted all of the mentioned banks via phone, Twitter, Facebook and Email and informed them that they have a problem that has to be solved immediately. Grades Chart click on image to enlarge. 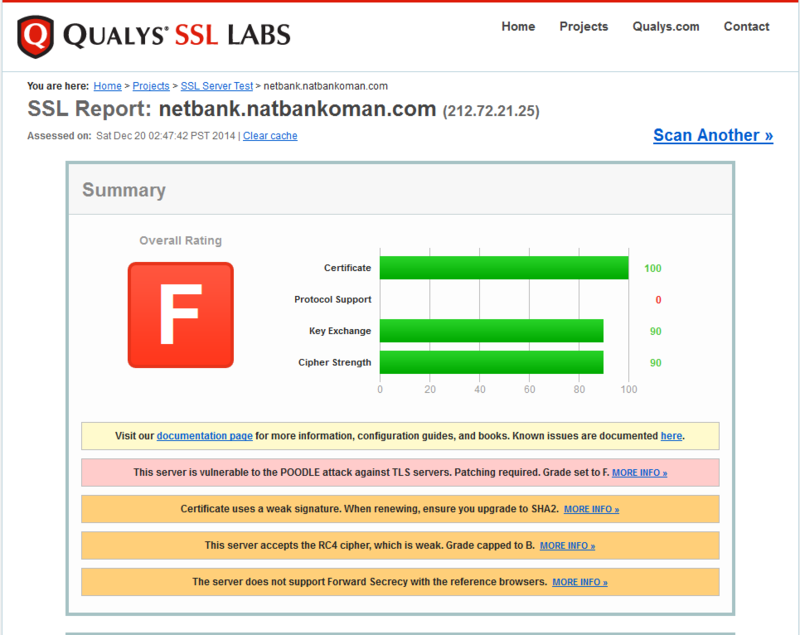 Some banks should consider using strong ciphers that supports Forward Secrecy. 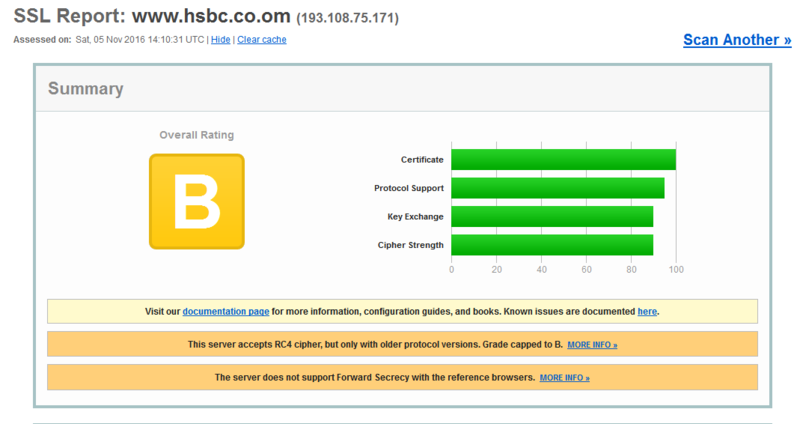 All banks should generate a new certificate with RSA 4096 bits key. The contents of this blog do not relate in any way to a specific incident. This blog is especially not suggesting or even providing an argument that the recent card skimming going on in Oman is related to one of the aforementioned banks. 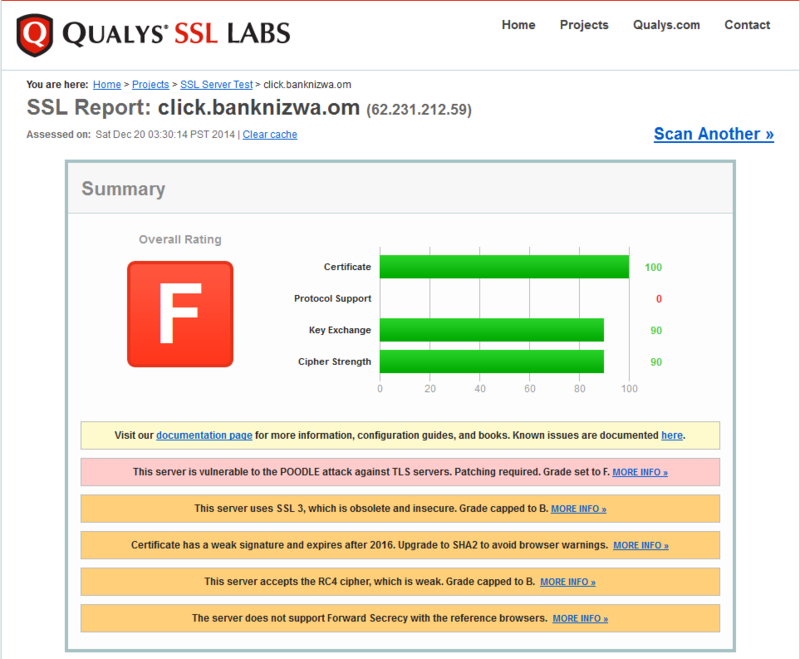 The specific tests that were run and discussed on this blog are for only one area of security, which emphasizes the strength of connection security between the end user and the bank via a web browser. While some banks may not have ranked as strong as I had hoped on this test (a test that any person may perform themselves because it is publicly accessible), banks that rank lower on this test may rank higher on other tests. Banks can be very strong in other aspects of their security and their security as a whole cannot be determined based on a single test. Additionally, to test other aspects of security prior authorization by a specific bank is required, which this blog and the average person do not have. 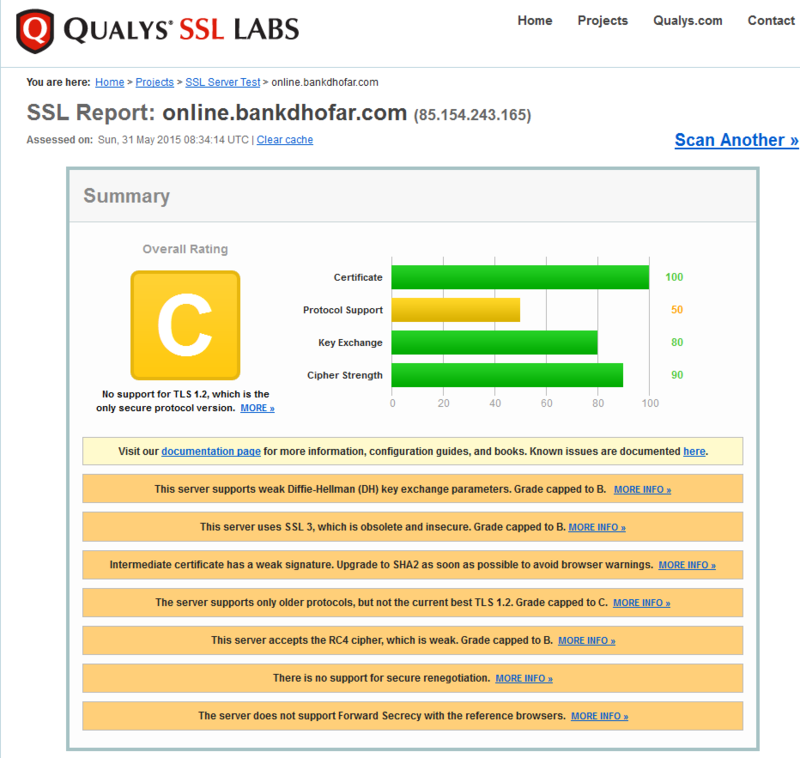 As we have seen most of them fail to meet the security standards for SSL which drives the online banking. I believe that banks should always make sure that they maintain grade A+ as explained here. 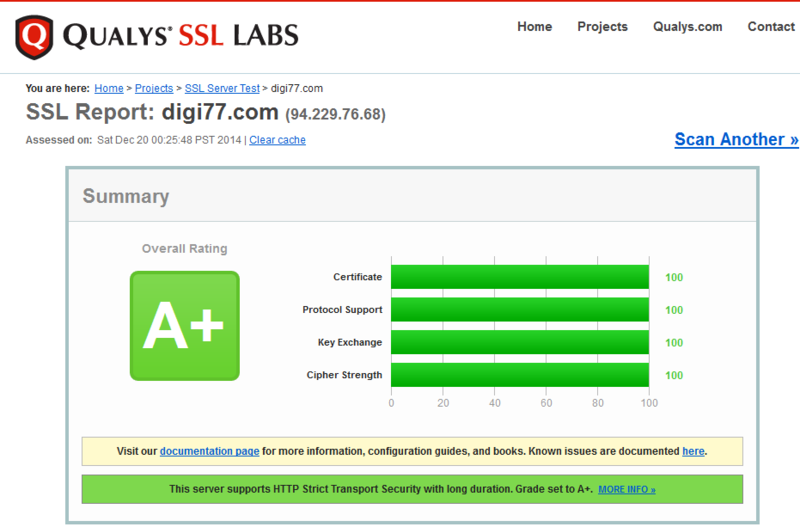 EEDS SSL status click on image to enlarge. 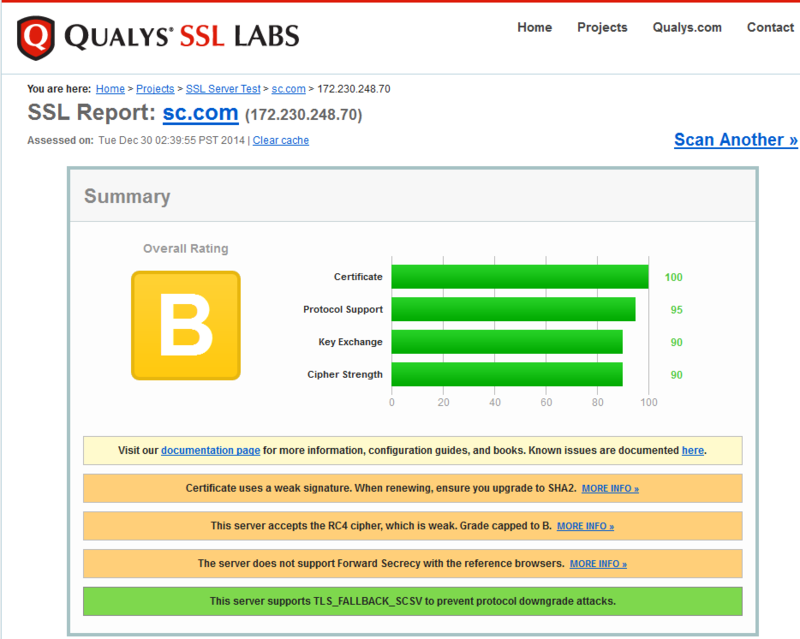 An Extended Validation Certificate (EV) is a certificate used for HTTPS websites and software that proves the legal entity controlling the web site or software package. Obtaining an EV certificate requires verification of the requesting entity’s identity by a certificate authority (CA). In cryptography, forward secrecy (FS; also known as perfect forward secrecy) is a property of secure communication protocols in which compromise of long-term keys does not compromise past session keys. 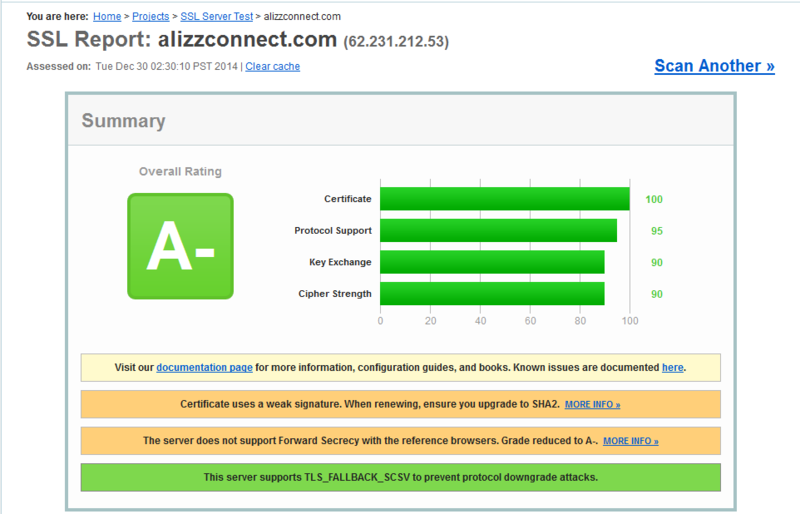 Forward secrecy protects past sessions against future compromises of secret keys or passwords.. 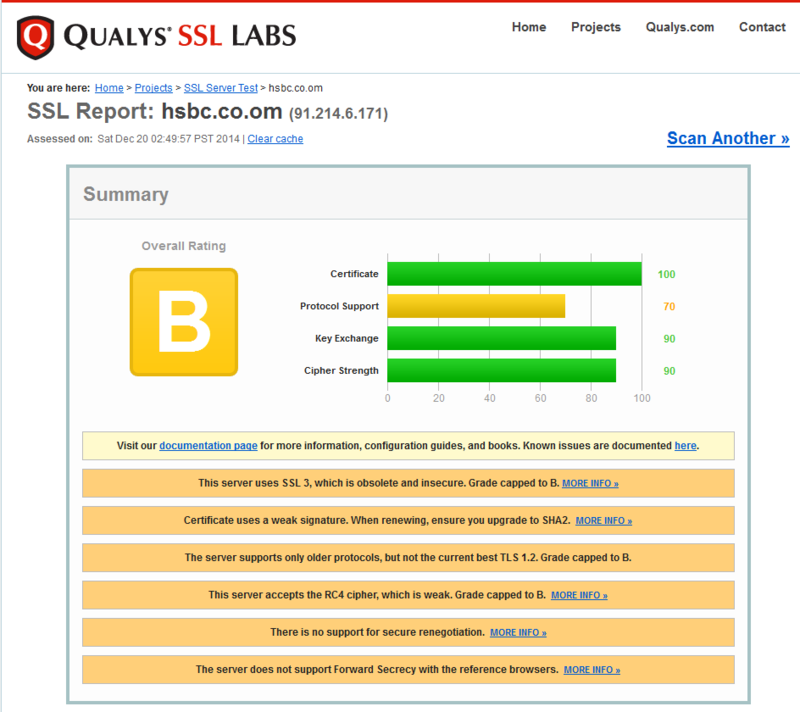 If we mark a web site as not trusted, that means that the average web user’s browser will not trust it either. 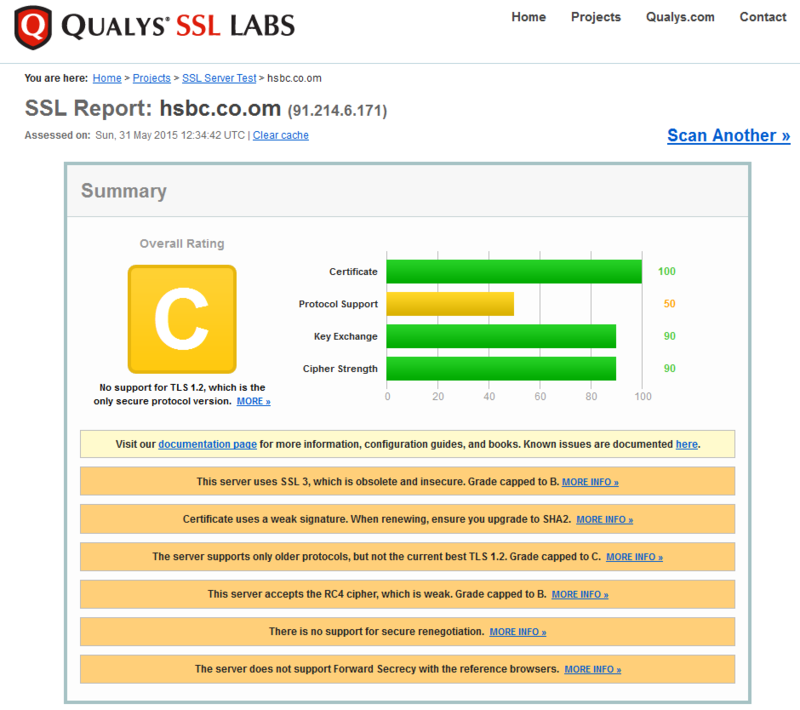 For certain special groups of users, such web sites can still be secure. For example, if you can securely verify that a self-signed web site is operated by a person you trust, then you can trust that self-signed web site too. Or, if you work for an organisation that manages its own trust, and you have their own root certificate already embedded in your browser. Such special cases do not work for the general public, however, and this is what we indicate on our report card. from The articular I believe lots of efforts have been done, very good information for all the website. All the Banks mention above should take action as soon as possible to avoid any threats and hack attacks. I think you should contact the Banks perhaps they are not aware of it. keep it up the good effort. Indeed they have to react fast I had couple of Tweet mentions with a direct link to this post I will make sure an email is sent to them as well.